Vicki has been active in the outdoors throughout her life. She skied the slopes of the Sierras while growing up in the Lake Tahoe area, and after moving to Southern California at age 15 she discovered that riding on the water was just as much fun as riding on the snow. Vicki’s educational and work experience encompasses environmental studies, marine biology, science education, curriculum development and sustainable tourism. Vicki’s marine biology studies and interest led her to work as a marine science educator on the staff of Camp Naue (Kauai), and later for the Birch Aquarium at the Scripps Institution of Oceanography. 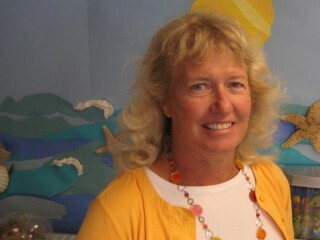 Vicki has developed two comprehensive hands-on primary level science/environmental education programs (known as Super Science) that include curriculum for an environmental science lab and a Family Science Night Program that is in use at several San Diego and Poway elementary schools. Vicki shares her dedication for sustainable tourism by working with resorts in their efforts to develop sustainable management plans, helping them to obtain sustainable surf tourism certification. She most recently worked as a consultant for Matanivusi Surf Resort in Fiji, creating their Roadmap to Compliance Report which helped them achieve STOKE Certification at the Sustainable level. Vicki also has experience with Leadership in Energy and Environmental Design (LEED)—she earned her Green Associate Credential in 2013. Vicki volunteers with San Diego Coastkeeper, a non-profit organization helping to keep San Diego’s watersheds clean.